The 2019 Common Ground Country Fair poster, featuring two Dexter heifers with oats and red and crimson clover, designed by Kevin Martin. 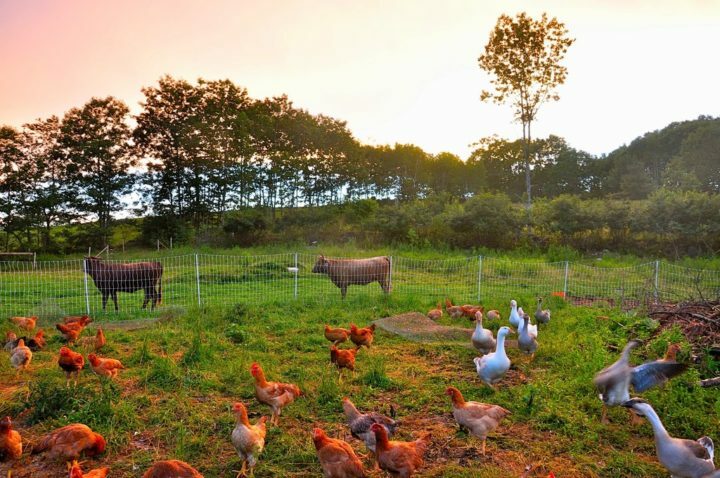 Beloved farm animals can hold a place in hearts many years after they are gone. Kevin Martin and his wife, Blair, had to sell their Rockport farm four years ago when their careers pulled them reluctantly away from the farming life, but they never forgot their Dexter heifers, Ruby and Maude. Now, Ruby and Maude will live on as the stars of this year’s Common Ground Country Fair poster. 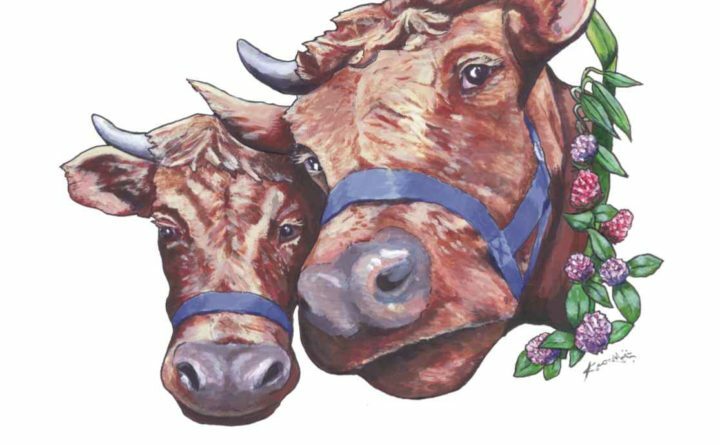 At the Maine Agricultural Trades Show in Augusta last week, the Maine Organic Farmers and Gardeners Association (MOFGA) announced the winning design for the 2019 Common Ground Country Fair poster contest: featuring the heads of two Dexter heifers framed by springs of oats and crimson clover. This year’s winning artist, whose design stood out from more than 90 submissions from Mainers and MOFGA members, was Martin. The Dexter cattle is a versatile poster child for this year’s festivities. It is not only a heritage breed, but a triple purpose breed that can be used for dairy, meat and draft power on a farm or homestead. Bouchard explained that aside from the first few years of the Common Ground Country Fair’s 43-year history, the poster’s design has been chosen annually through a contest juried by members of the fair steering committee and the MOFGA board of directors. Though Martin is not an artist by trade, he holds a degree from the Washington University in St. Louis in fine arts focused primarily on sculpture and has been making art as long as he can remember. 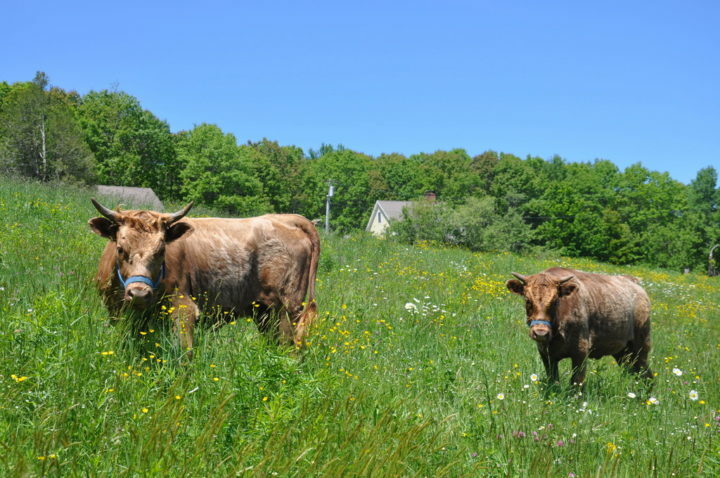 Dexter heifers Ruby and Maude on Kevin Martin's Rockport farm. Though Martin and his wife, Blair, spent most of their professional careers working on HIV/AIDS education in rural East Africa and are now based primarily in the United Kingdom as Martin pursues his doctorate at Cambridge University, the pair established Maine as the “home base” in their itinerant lives since around 2006. His wife’s family has a long history on Vinalhaven, an island in the Penobscot Bay, where her parents now life year round. 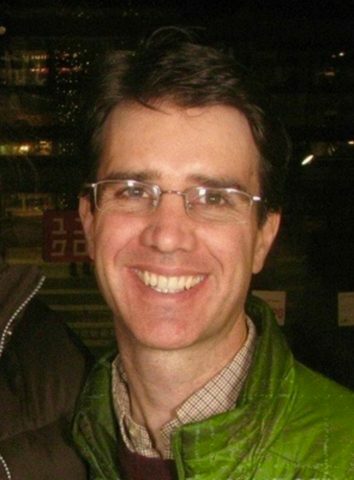 Martin joined MOFGA in 2011, and first attended the Common Ground Country Fair that same year. He “fell in love with it,” though Martin said that the first time he saw a poster for the event was at the Whole Foods in Portland. The Martin family — Martin, Blair and their four sons — are now loyal attendees of the Common Ground Country Fair (Martin said his twins attended their first fair when they are only two months old) and have collected paraphernalia with each year’s design in the form of T-shirts, posters and bags. “It was always something been aware of, and I thought, ‘Wouldn’t it be fun if i submitted a painting and it became the image?’” Martin said. Dexter heifers Ruby and Maude with other livestock on Kevin Martin's Rockport farm. The Dexter cattle turned out to be the right choice. According to Bouchard, the fair sells about 2,000 posters every year, plus other paraphernalia that features the design. The winning artist receives a $2,500 prize, a MOFGA membership and an article in MOFGA’s quarterly publication. The fair has over 60,000 attendees annually, plus around 2,000 volunteers that are each given a T-shirt with the design. This is the part that Martin is most excited about. “It will be pretty great to see friends and family having volunteer T-shirts with the image on it,” he said. The 43rd annual Common Ground Country Fair will be held this year on Sept. 20-22, but the 2019 poster is available for purchase now through MOFGA’s online Country Store.